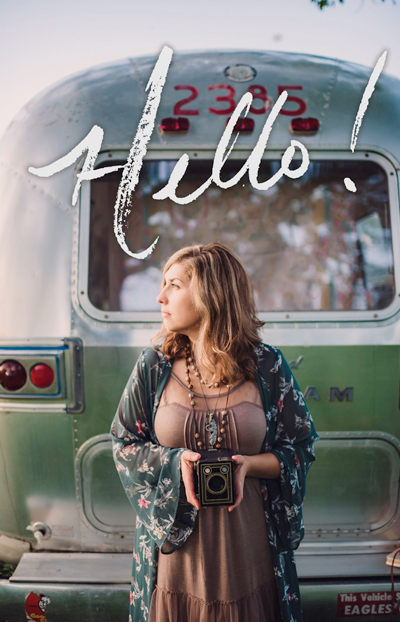 What is the very first step in rehabbing a vintage Airstream? Finding the right camper! How do you do that? You will find that locating the “perfect” vintage camper is somewhat of a unicorn. You can picture the magical camper. It's in great shape, needs minimal work, no exterior damage, shiny skin, super cool retro interior and was taken care of pristinely by a very loving family. But the reality is that you are more likely to find a camper out in a field that has been sitting for decades and is currently serving as a home for a family of destructive rodents. Welcome, 2018! It’s a new year and just like everyone else I have BIG plans and dreams for the magic that is going to happen this year. Of course at the very top of the list is to get this Airstream of ours road-ready! With our schedules and life, I don’t know if it will be completed in 2018, but we are going to work towards that goal! WHERE ARE WE NOW AND WHAT IS NEXT? Right now, our Airstream has her shiny shell-off. We are about halfway through removing the subfloor. It turned out to be quite the job finding the bolts under the ridiculously sticky floor tiles. Once we locate the screws, we are cutting around them with a hole saw and then removing and saving the whole piece of plywood for a template later. Bryan thinks our chassis looks to be in pretty good shape. I am working on creating a “Master Checklist” to track what our steps are. This is just a start, but I am hoping to make this a permanent list on this site. 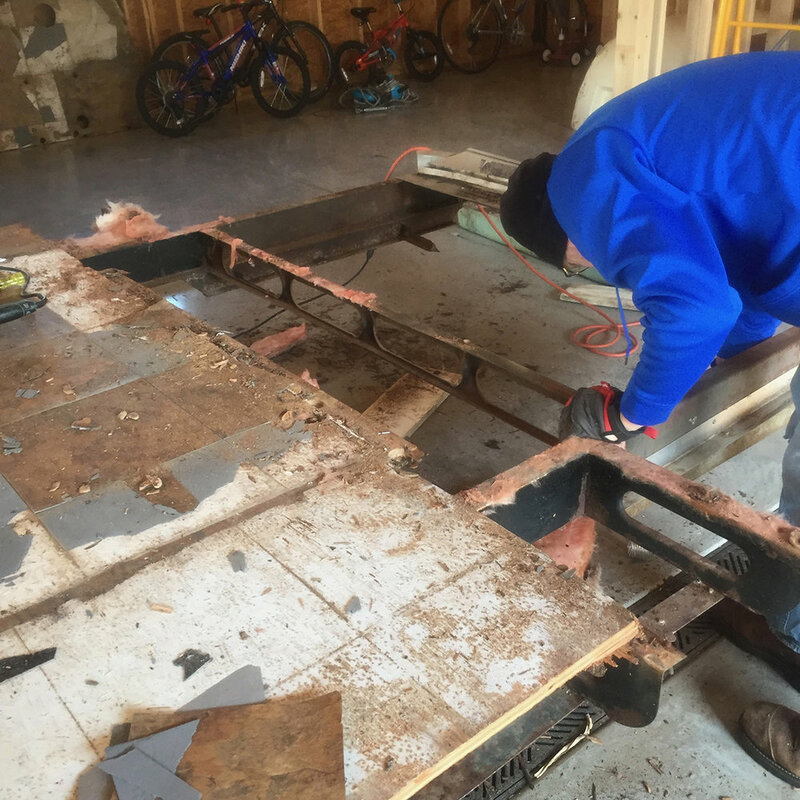 Right now we are about mid-way through removing the subfloor from the frame of the Airstream. We haven’t worked on it since December 2nd because it has been freezing in our shop. I am hoping for some warmer weekends soon so we can get back out there and at it. I want that darn subfloor off of there so I can start assessing what needs to happen to our frame and chassis and if we are doing the work or hiring it out. I LOVE campers, and I have dreamed of owning my own since I was a little kid. I love the idea of a mini-house on wheels that you can take on wild adventures and "DIY-it" to make your own. I mean who doesn’t dream of cute little curtains and dinette that is ALSO a bed?!?! It’s no surprise I am a fan of tiny houses too. I think there is something about stripping your life down to the bare necessities that also speaks to me. In a camper, you trade some creature comforts for the ability to wake up wherever you please. You may not have everything you need inside, but surely right outside your door is something different, exciting and new, each and every day.